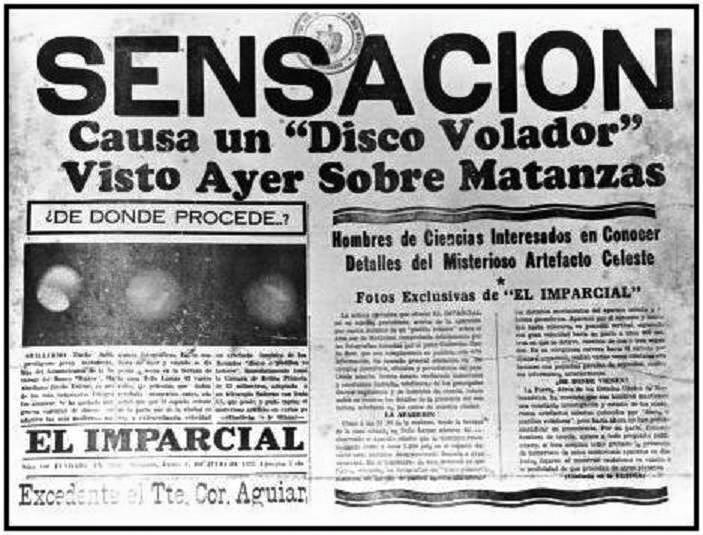 Veteran Cuban UFO researcher Orestes Girbau has shared the image of an article from the El IMPARCIAL newspaper with the first known photo of a UFO over Cuba. 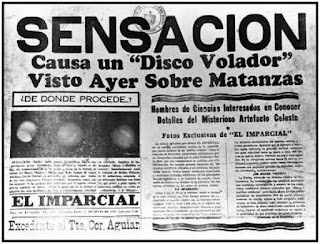 In a note for Planeta UFO he writes: "First photo of a UFO in Cuba, taken in the city of Matanzas on 17 July 1952 while the worldwide UFO flap was in full swing. It was taken by young Guillermo Zincke with his professional-quality camera and personal telescope when the object remained motionless for an entire minute. Provincial daily EL IMPARCIAL covered the story on its front page. The Cuban military confiscated Zincke's negatives within twenty four hours."